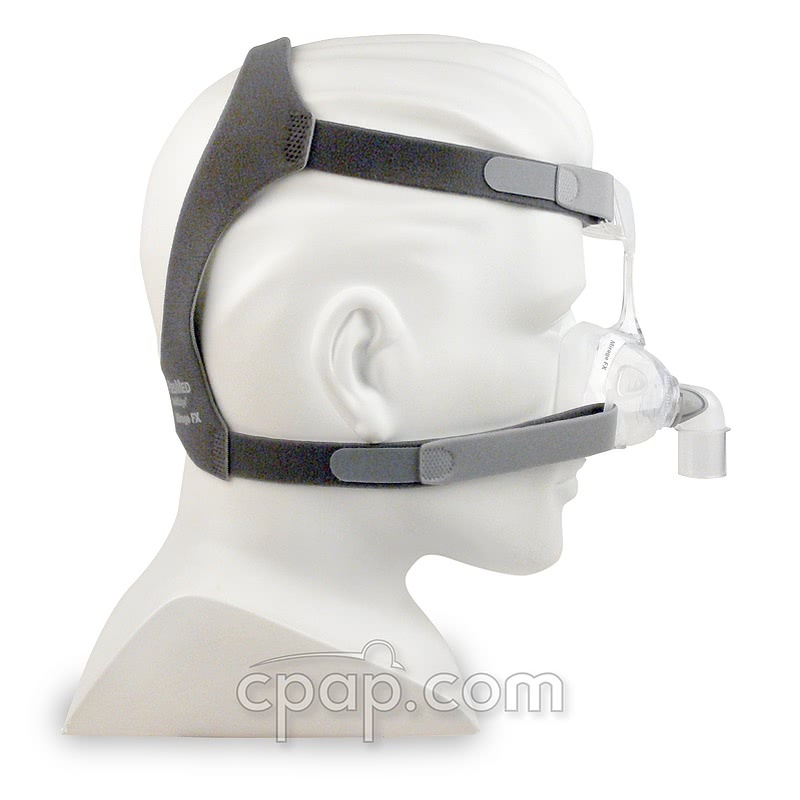 " Best mask I have ever used. 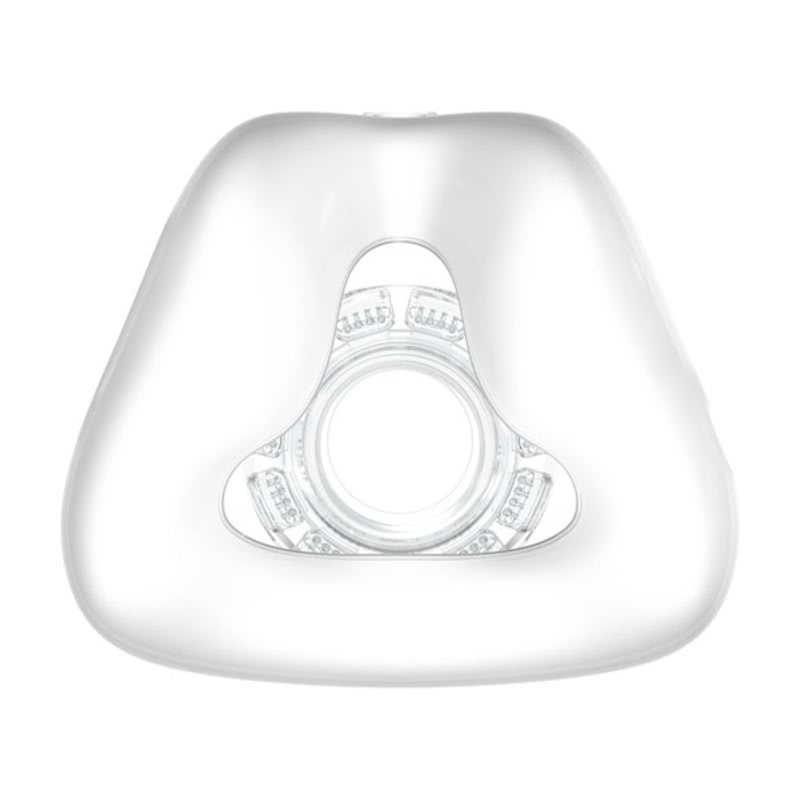 So light I barely know it is there and because the pillow surrounds such a small area near the nose it is not prone to leakage. " 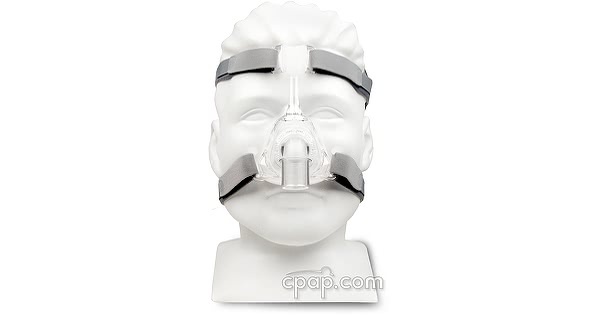 " Best mask I've used so far after four years of trying different masks. 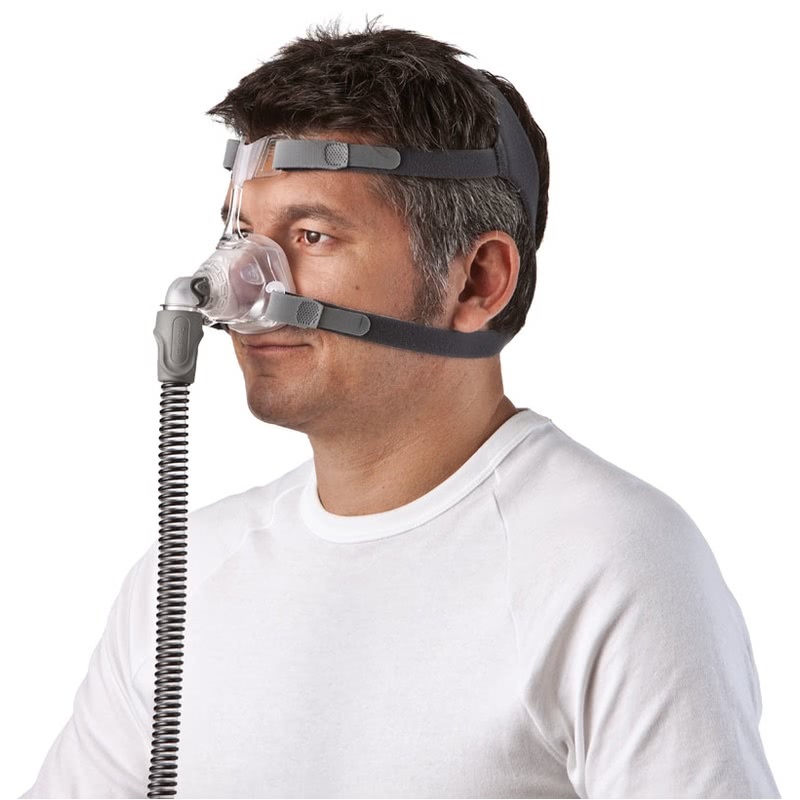 This mask is quite light and fits like a glove. " 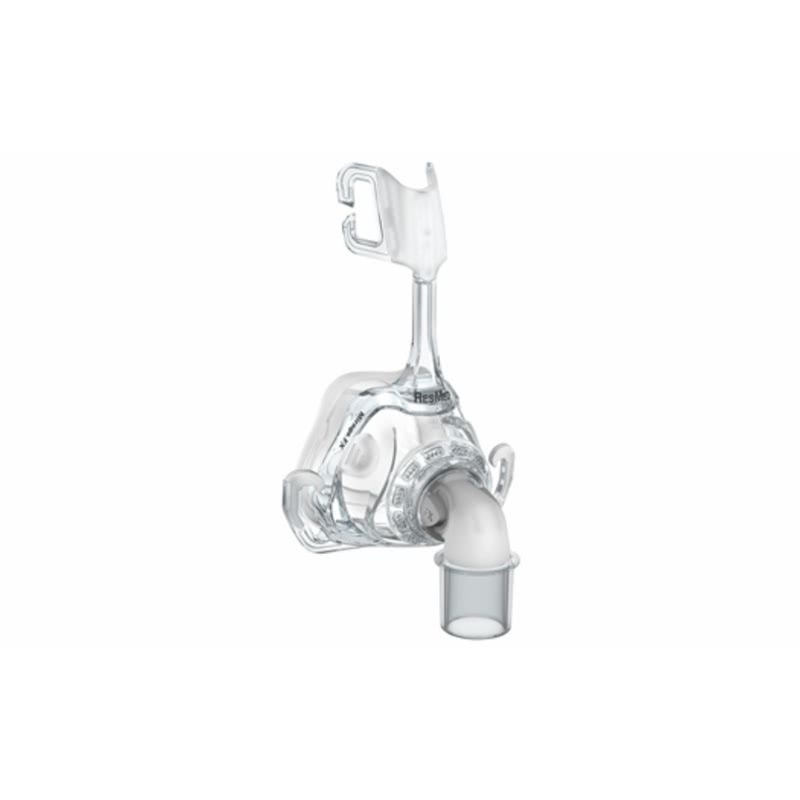 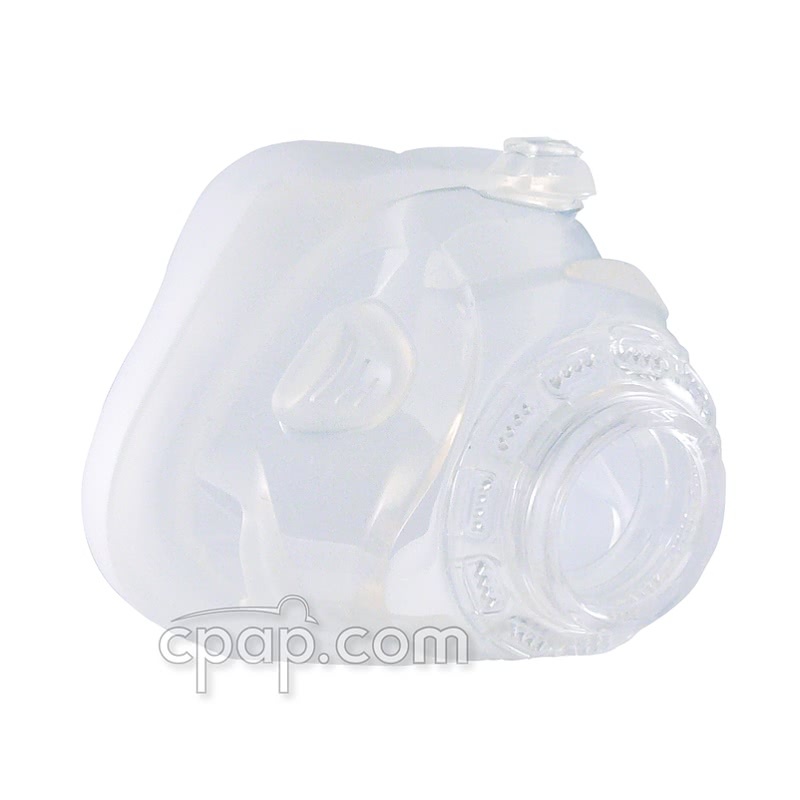 With only four parts, ResMed's Mirage FX nasal CPAP mask is light weight, compact, and easy to clean and easy to use. 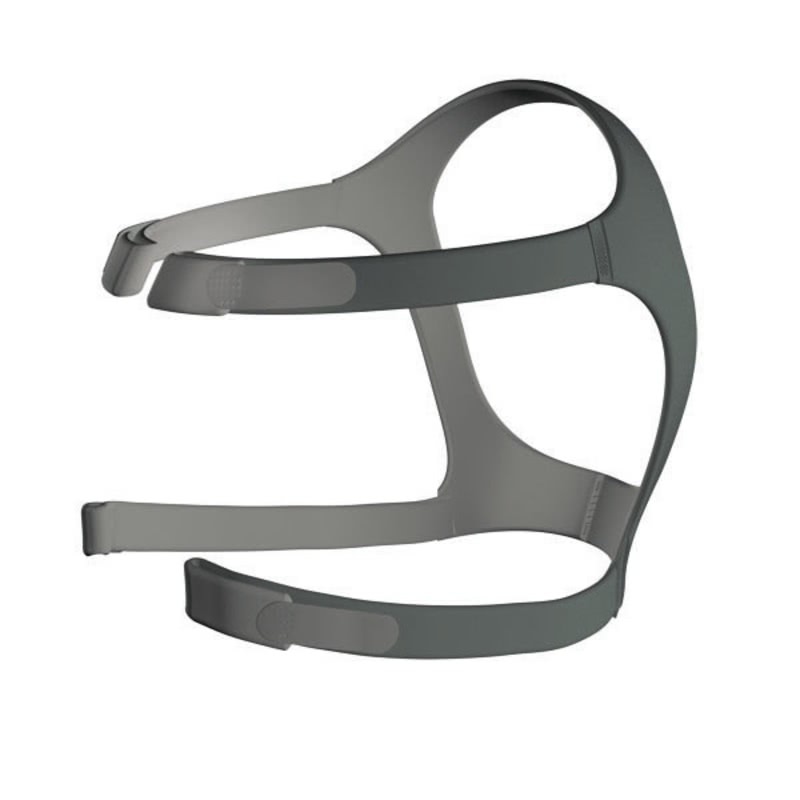 The "butterfly wing" forehead support is designed to allow only the headgear and no plastic to come in contact with the skin. 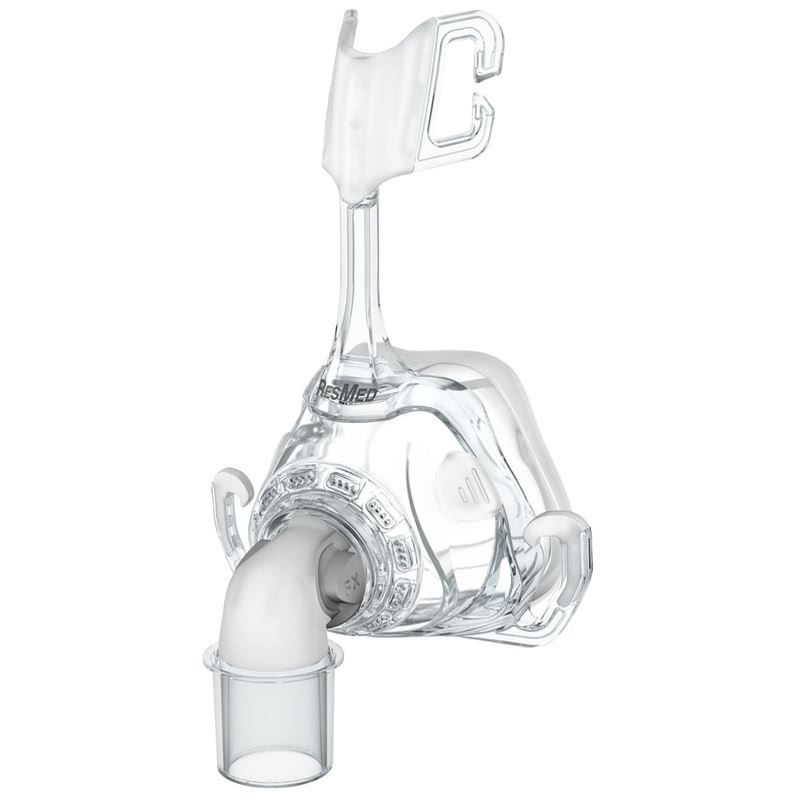 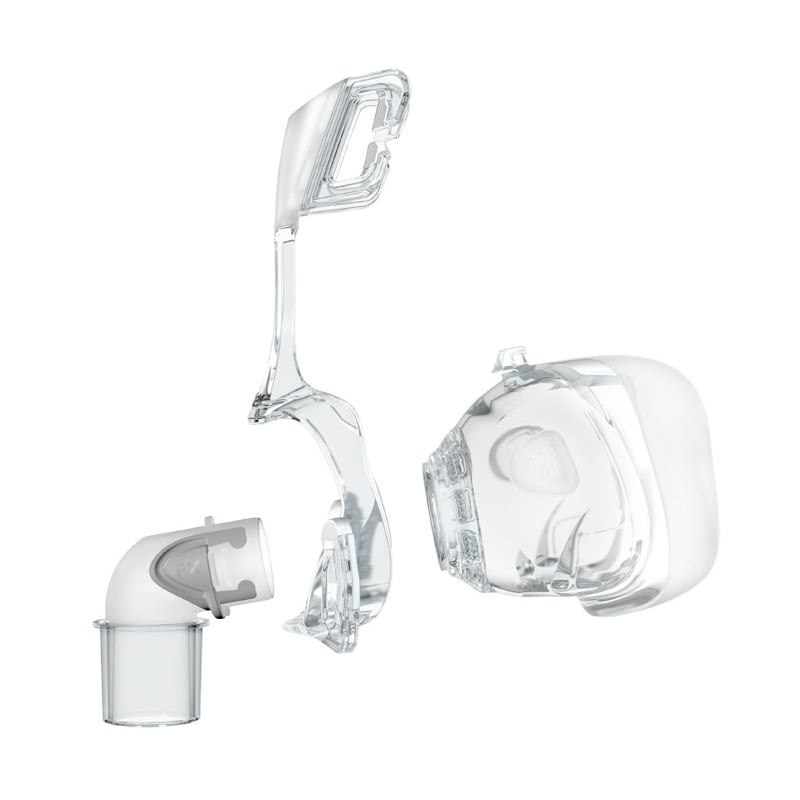 The easy squeeze-tab elbow allows you to easily connect and release the tubing from the mask. 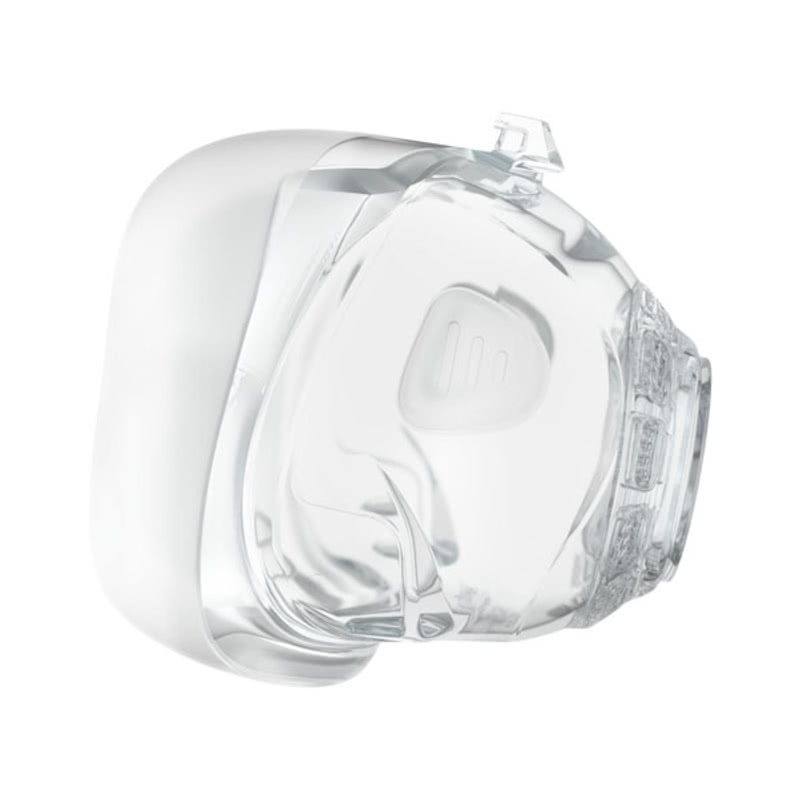 How to Tell the Size of the Mirage FX Cushion? 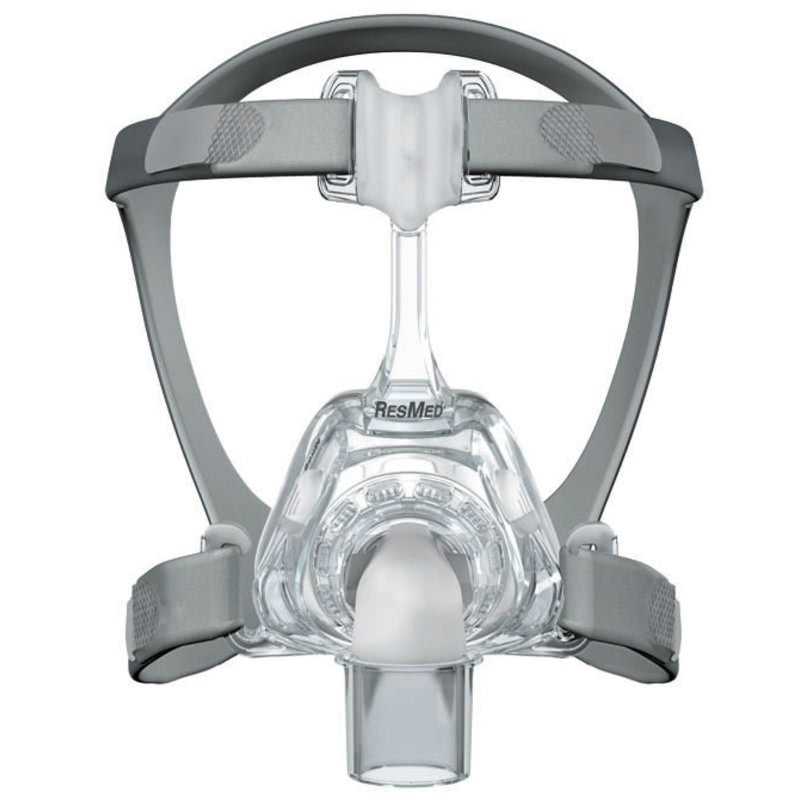 The size Standard Mirage FX does not have any indicating part numbers or letters on the mask. However, sizes Wide and Small have a "W" or an "S" on the cushion. 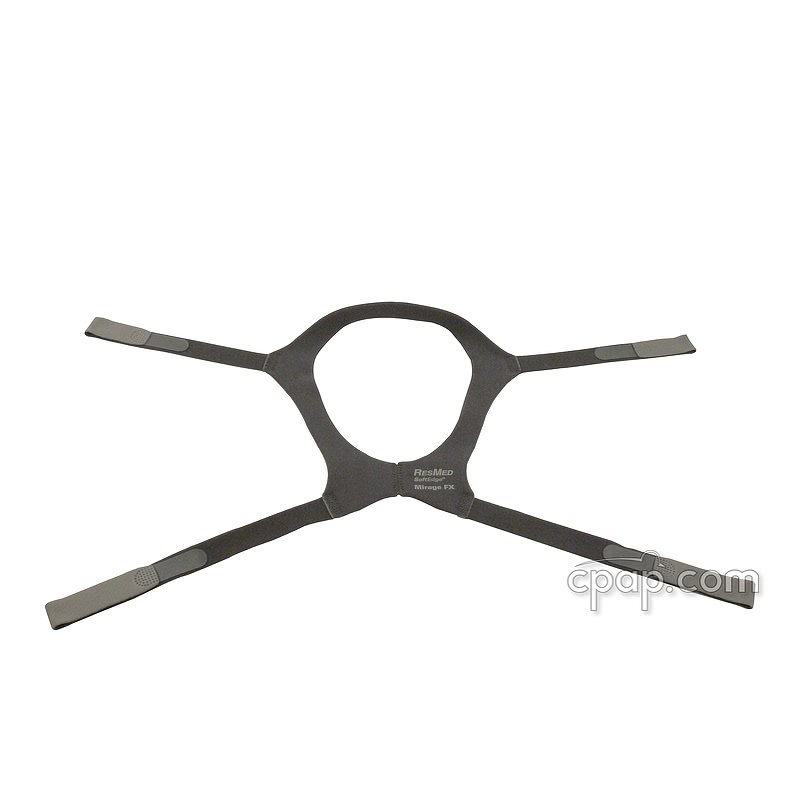 The small cushion is not compatible with the frame that fits the standard and wide cushion.